Instagram Picture Paradise – How to Get More Instagram Followers and likes? People say a picture is worth a thousand words, and the perfect image is the key to the proper branding. That is why Instagram is the perfect place to spread your brand. With over 100 million users, your brand can be a worldwide sensation. How can this happen? The number of likes you get on an image increases your visibility on Instagram and results in more followers. The key to getting likes is to study what people are gravitating towards on Instagram. What images gets them to decide to follow someone instead of just liking the photo? This question helps you understand your audience. Here are a some ways to help increase your Instagram likes and get more followers. 16 Billion Photos are shared … Indeed 16 Billion! This is really impressive, knowing that Instagram has just started 3 years ago. As a small, medium or large business owner you just cannot ignore this market. Instagram is a way to connect with people, with real people. Don’t use this platform for link sharing. Build real relationships with people. Keep reading on how to do this best. 20% of people on Instagram are on Facebook. Linking the accounts will let your Facebook friends know that you are on Instagram. They will get your Instagram pictures in their Facebook feed. Your friends will notice them and start to follow you. You might even convert some of them to become Instagram users just so they can follow you. However, the best way to use Facebook to gain followers is to post a status update about your new Instagram account and ask your friends to follow you. A tag can be the difference between a few people seeing your photos or a few thousand people. Use the most popular tags within the photos to increase the chances of your images being discovered by potential followers. Here are the top 20 tags for Instagram. A photo filter can make a picture interesting, but it can also distract followers, and they can be turned off by the photo. If you use one of the top 10 photo filter, you will draw eyes to your photos and not repel them. Use these popular photo filters. It is time to get social on Instagram. Most Instagram users value a comment over a like. Use comments to garner new followers. People are looking for feedback. It takes a second to like a photo, but it takes more of an effort to comment on one. The user will be thankful for the comment, and they are more likely to like your photos and follow you. If you like someone’s picture, they will like yours. You can do random photos or you can look for photos that are similar to yours. You can draw a crowd from users you post similar photographs. However, broadening your likes are the best way to draw the biggest crowd. Also try to like photos from people who are not already following you. The key is to get new followers, but do not completely ignore your current followers. It is a good thing to like your followers’ pictures every once and a while. You want a follower to continue following you. Search hashtags or users that have pictures that interest you. Like their photos and comment on them. Users with similar interest are great resources. This step is about gaining a community on Instagram. Having a community is a great way to add followers through word of mouth. Many users find photos that are personal or flashy (homes, luxury cars, lifestyle) to be more engaging. 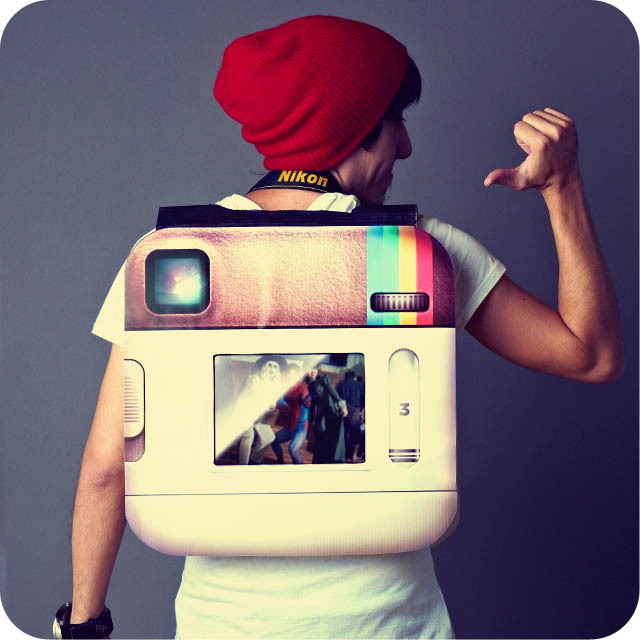 If you are using Instagram for branding your company, use an image that will engage users on a personal level. You are more likely to get more likes and followers. Use Statigr.am to determine the best time to post a new picture. Statigr.am gives you your peak traffic times. People are more likely to like a photo within the first three hours it is posted. The most popular hours are 8 PM eastern time on Mondays and 6PM eastern on Wednesdays and Thursdays. Always keep your followers number higher than your following number. If you follow someone and they do not follow you back within a three days, unfollow them. Having a higher follower count makes your blog look more inviting to potential followers. If you are new to Instagram and want help increases your followers so you can keep high ratio of followers/following, you should purchase followers from Fourerr. Fourerr is great if you do not like the slow but steady approach to gaining likes and followers. Fourerr is here to help you by adding 5000+ likes to your photos. The instant 5000 likes will make your photo popular and will generate interest from other users. This will result in more followers. The best way to get more real followers is build you a community. Word of mouth goes a long way. If you want to just boost up your numbers fast Fourerr is the best option, and randomly liking other pictures is the second best option. So, what other ways can you boost your likes and followers? Leave us comment below. 1 Comment on Instagram Picture Paradise – How to Get More Instagram Followers and likes?